Believe it or not, this was our very first time to shoot an engagement session in Old Town Spring which is funny because we absolutely love going down there as a family! So we were pretty excited when Andrew and Courtney wanted to head over there for their engagement photos. It was a cloudy Houston day that ended up being the perfect temperature and setting. It rained up to the photo shoot and immediately after but not during!!! 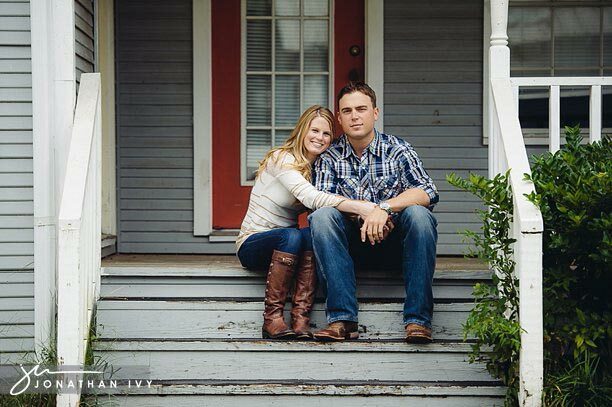 Here are just a few of our favorites from the Old Town Spring engagement photo shoot. Um how cute are they!